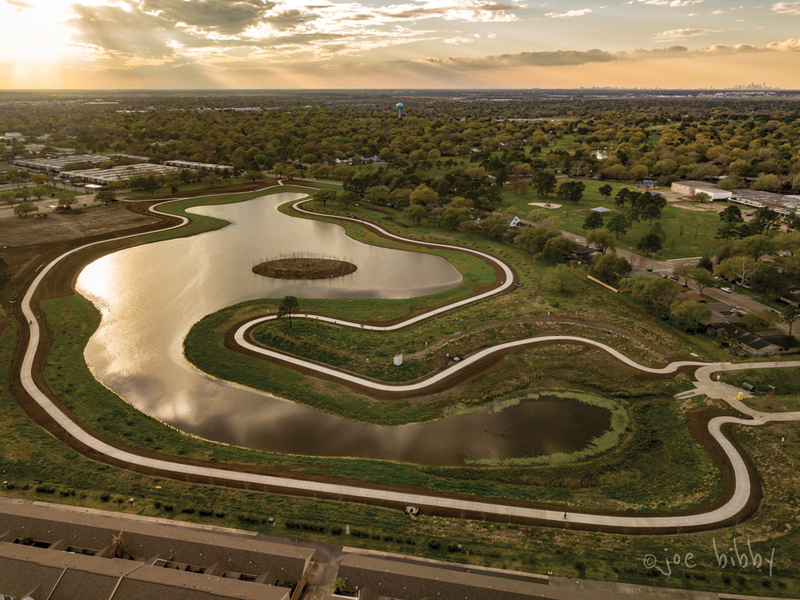 Exploration Green, the Bay Area hidden jewel, which helped save hundreds of Clear Lake homes from Harvey’s floodwaters, will have the grand opening of Phase 1 Saturday, April 28 from 11 a.m. to 2 p.m. at 16200 Diana Lane. Community leaders, residents and elected officials are being invited to join the celebration, which will include a tree planting ceremony to commemorate the completion of the first phase of the 200-acre green space, that for many years was the Clear Lake Golf Course before the Clear Lake City Water Authority purchased the land and helped form the Exploration Green Conservancy to provide the community with more green space and save it from future flooding. The idea appears to be working as community volunteers have worked for months planting trees along Phase I, which is next to the Clear Lake City Recreation Center. Exploration Green Conservancy is an all-volunteer, grassroots nonprofit dedicated to the protection and enhancement of Exploration Green — a permanently-protected, 200-acre natural park and one of the last open green spaces in the NASA/Clear Lake area. Plans are for Exploration Green to feature a series of five connected finger lakes, 12 miles of hike-and-bike trails, safe play areas, multi-use athletic fields and inspiring gathering spaces. Complementing these amenities will be water-cleansing natural wetland areas; habitat islands for indigenous wildlife, including resident and migrating birds, amphibians and butterflies; and a reforested, more natural environment for native grasses, flowers and trees.